View, Share and Analyse your 3D resources. Mobile Mapping, UAS Mapping, Indoor, Terrestrial or Oblique Mapping. A milestone release for all professionals in the UAS Mapping business. UAS data management, professional feature extraction, and easy data sharing. optimized feature extraction, and online data sharing. Imagine a brand new world in which cities are smart and driven by data. Data collected by drones, airplanes, vehicles and individuals. Gather using imaging and scanning, above and below ground, outdoors and indoors. Imagine that data to be in 3 dimensions giving you clear insights by bringing the outside world to your desk…. Can you image such a world? Can you picture such smart software? Can you recognize the future when it arises? Reboot your DNA to 3D using Orbit GT’s Smart 3D Mapping Solutions. 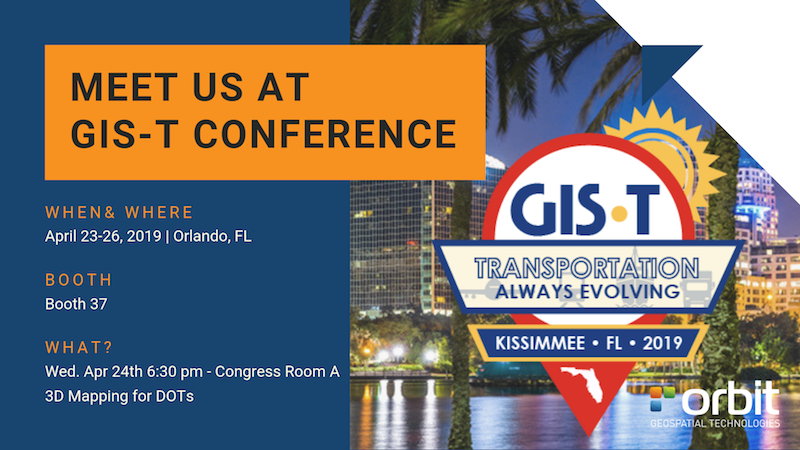 Orbit GT will be exhibiting and hosting a presentation at the GIS-T Conference, Orlando, FL, April 23rd-25th, 2019. “3D Mapping has countless advantages for the whole of DOT’s“, says Peter Bonne, CEO of Orbit GT. 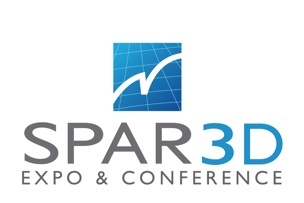 “During this year’s GIS-T conference, we’ll be exhibiting our 3D Mapping solutions and presenting some great cases. 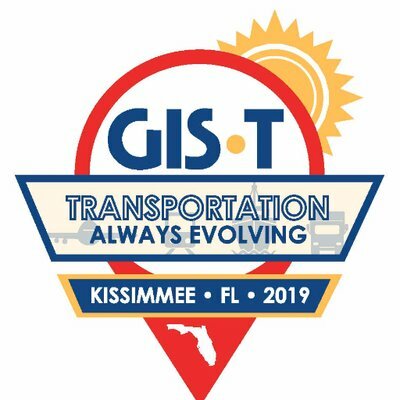 Join Orbit GT in the Special Interest Group for 3D Mapping on Wed. April 24th.” The GIS-T conference is bringing together the GIS professionals within Departments of Transportation from the whole of North America. Orbit GT is hosting the Special Interest Group “3D Mapping for DoT’s” on Wed Apr. 24th at 6:30 pm in Congressional Room A. We will be joined by Geomni (Aerial Oblique coverages – geomni.com) and other partners. Orbit GT releases a new version of its SaaS solution 3DMapping.cloud introducing 3D Models support and Hybrid Resources. “As 3D Mapping and BIM grow closer, we now added support for 3D Models in 3dmapping.cloud“, says Peter Bonne, CEO of Orbit GT. “Customers can now create a 3D model library, organize categories, and blend these in any 3D or image view. Again a great update for 3dmapping.cloud !” Another great new feature is Hybrid Resources. These resources are declared in 3D Mapping Cloud to be used as any other resource, however the data is stored in a different environment, e.g. Orbit GT’s 3DM Publisher (for on premise installations). Hybrid Resources allow users to blend publicly available content with their own private content, even when not physically stored in the cloud. 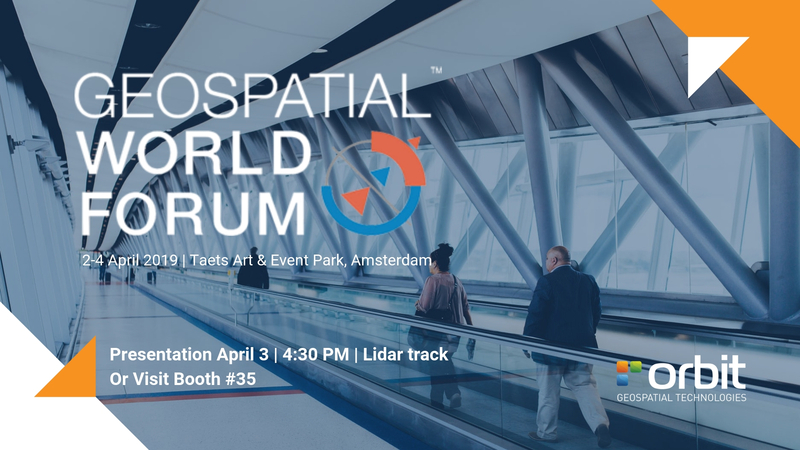 Orbit GT will be exhibiting and hosting a presentation at the Geospatial World Forum, Amsterdam, The Netherlands, April 2nd-4th 2019. “If you’re visiting this year’s GWF in Amsterdam, join our presentation on April 3rd 4:30 pm in the Lidar track“, says Peter Bonne, CEO of Orbit GT. “or visit our booth #35. The Geospatial World Forum is a leading event in the GEO-business. Orbit GT will be showcasing solutions for Smart & Digital Cities, LiDAR pint cloud management and overall 3D Mapping solutions. Discovering 3D Mapping based on images and point clouds? Wondering what Mobile, UAS, Indoor or Oblique Mapping can do for you ? Orbit GT’s 3D Mapping software solutions are disrupting the way mapping content is created, processed and consumed forever. Serving vast volumes of real life data, Orbit GT empowers companies and organisations to embrace and embed 3D Mapping content in every day work. Orbit 3D Mapping technology has been used intensively around the globe, from single indoor mapping cases to mobile mapping coverages of entire states. Our customers and partners are beating their competitors with impressive results. We are proud to present their stories and cases!